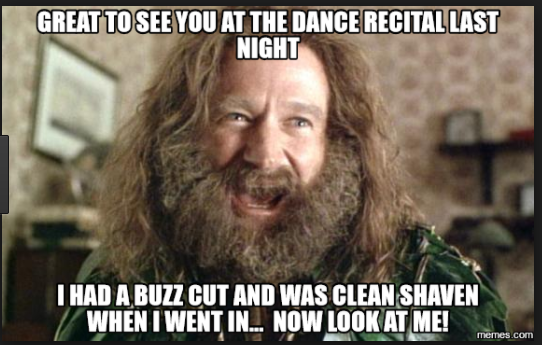 My daughter was recently in a dance recital. She had begged to get to take a dance class, and knowing how much work she needs on her gross motor skills and coordination, we agreed to let her attend. After watching her dress rehearsal, and that of the group before and after her, she came back out from back stage and proclaimed that she was the best the dancer out there. I smiled. It’s not uncommon for children her age to be quite full of themselves. When I didn’t agree, she asked me directly if she was the best. Harsh, maybe, but I then explained that while she’d done a good job of going to class and listening to the teacher, she hadn’t practiced outside of the class. Her friend, who happens to be a year older, had gone home and practiced every night. It showed. I told her if she wanted to be really good, she’d have to practice more than once a week. She was not happy with me. She argued that she didn’t have a partner to practice with at home. I agreed with her, but told her she could still practice her parts. She could always use a stuffed animal as a stand-in for her partner, like her friend had. I know this sounds harsh, and this next bit may sound like a deluded parent, but DD1 is very bright. A lot of things have come very easily to her because of it. She’s not yet in kindergarten, but she’s reading at a 2nd-3rd grade level. Why? Because she wanted to read, was determined to read, and had taught herself to read by the time she started 4K. She was one of two children that could read at the end of her 4K year. We encourage her love of reading, of course, but she’s the one that practiced and practiced. That pushed herself, especially when she saw some of the cool books out there that she wanted to read without help. She’s starting to eye up early chapter books as she saw a few of those that were My Little Pony. This one, to be exact. 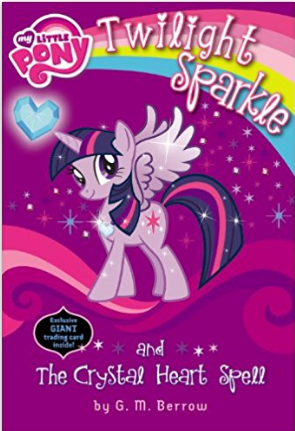 Which, of course, features Twilight Sparkle. Her math skills have also came easily to her so far. We practice a system of rewards for good behavior. She had six behavior points and knew she needed fifteen to get the treat she wanted. She was able to devise that she needed nine more behavior points to get the reward without any help from me. Also, if you send her to her room and tell her to count to one-hundred before coming out, you must specify she must count by ones. Otherwise, she’ll count by fives or tens to get out faster. So, yes, I’m glad she’s got drive and some natural gifts in these areas. I’m also not upset that she isn’t naturally gifted at dance. I’m glad she still loves dance and wants to be good at it. I want her to have to work for it, to have to practice for it. I want her to see she won’t always be the best at something just by showing up. But I want her to have fun along the way. She’s my Type A child. She’ll push herself hard, and I want her to learn that it’s okay to not always be the best. That it’s even okay to fail as long as she tried her best. How about you? Ever had something come easy? Something come hard that you really had to work for? 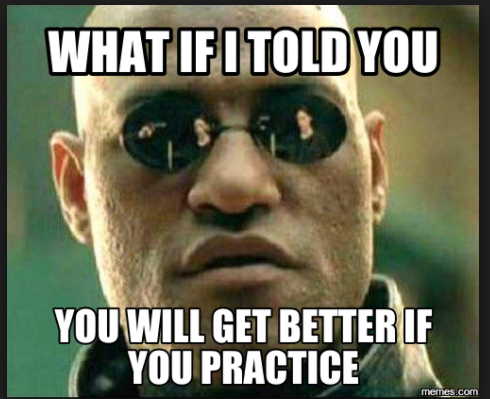 Did the extra practice make you the best? Were you proud of your accomplishments even if you weren’t the best? The thing I work hardest at is my social skills. Not being polite, using the right fork at dinner, or such. Rather at being social in social situations. I am INTP. I have not met but one person who I was comfortable around from the minute we met. She married me 43+ years ago. Starting a conversation, even on a subject I am expert in, with a newly met someone is my challenge. 50 years in the military and work force hasn’t made it comfortable but I have learned to force myself.